Keep the New Year momentum going with a commitment to a new and improved you—by building a personal brand. Though many experts recognize personal branding as an essential in today’s world of social media job hunting, many job seekers don’t adopt the strategy for themselves. 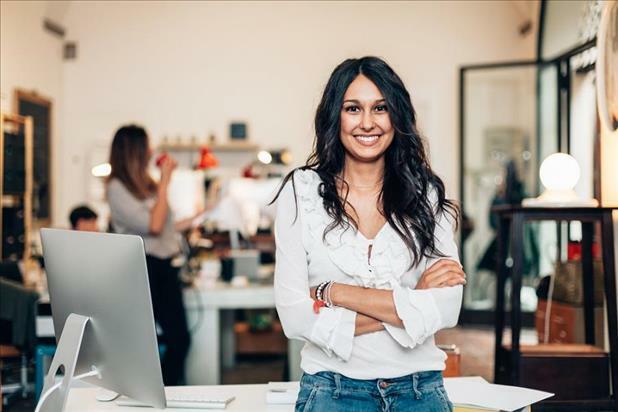 You may be asking, “What is a personal brand, and if it’s so important, why haven’t I heard of it?” Chances are, you already know the basics without even realizing it. A personal brand is, first and foremost, your reputation. It’s how you sell yourself to employers and convince hiring managers that you have a strong background in your field. A personal brand should focus on the key characteristics that define your motivation, skillset, and professional life. Get a leg-up with these steps to creating a powerful personal brand. Before you can decide how to move forward, you have to understand yourself and where you’ve been. Develop descriptions of your personal and vocational values, interests, personality, competencies, and qualifications (such as education and work experience). If you’re having trouble getting started, try completing a strengths/weaknesses analysis for a little push in the right direction. Review your thoughts from the self-audit. Which characteristics most influence your career motivation? Which qualities define you outside the workplace? The most essential pieces to who you are and what you do are the building blocks of your personal brand. 3. Determine your long-term goals. Spend some time—maybe even a few days—just thinking about what you want your career to look like in five or ten years. Then figure out what you need to get from where you are now to where you want to be. For example, an accountant who wants to become a yoga instructor might need to build up some exercise instruction experience or become familiar with popular techniques. 4. Write your personal brand statement. Example: I am an internationally recognized visionary with expertise in middleware and web applications development and a passion for space research. You can use your branding statement as a tagline on your social media profiles and at the end of your email signature. With some adaptation, it could even be included in your resume or elevator pitch. 5. Build and maintain your brand. To be truly effective, a personal brand must stretch beyond a short phrase inserted beneath your name on emails and LinkedIn messages. When recruiters search the internet for potential hires or a potential employer googles your name in response to your application, you want the information that appears to support your personal brand. Promote a reputation that speaks to your expertise, motivation, and professionalism. Some ways of doing this include sharing articles relevant to your field, promoting related community events, and posting any major achievements on your social media feeds. You might even upload a professionally written and optimized resume to your iHire account and make it searchable, strengthening your keyword presence and moving your resume above the competition!